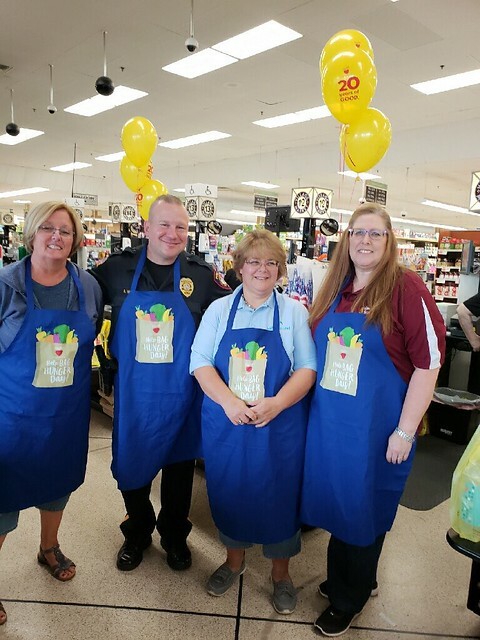 Local agencies and Township staff donned aprons from 10 am to 12 noon on Friday, September 21, while bagging groceries for charity, at the Hillsborough ShopRite. ShopRite’s annual Partners in Caring, Help Bag Hunger Day took place to bring awareness to the issue of hunger in local communities. During this event community leaders spend part of their time bagging groceries for customers, discussing hunger and working to increase awareness while Shop Rite accepted donations for local charities.